In the spring of 2019 I will attempt to fulfill my lifelong dream of climbing Mount Everest, reaching the highest point on our planet. With support from The North Face and guidance from the Alpine Ascents Foundation, I am creating this fundraiser with the goal of providing scholarships for more than 14 students in the Khumbu region of Nepal, one of the poorest countries in the world. I now invite you to take part in this exciting and powerful project! Alpine Ascents Foundation (AAF) is a non-profit 501(c) 3 organization that manages the Sherpa Education Fund. 100% of all donations to the AAF goes to the student’s education, health and wellbeing as Alpine Ascents International bares all the administrative expenses. Therefore, by supporting this fundraiser, a full 70% of your donation will go directly to the Sherpa Education Fund. 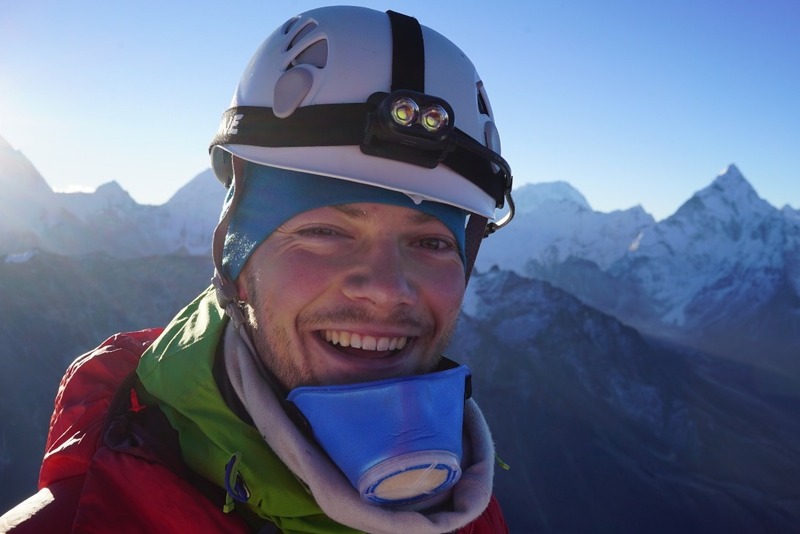 The remaining 30% of your donation will help finance my Everest expedition and realize my lifelong dream of reaching the top of the world! Being a Sherpa is a culture, a way of life as well as a people. They are hardworking; living at high altitudes as farmers, yak herders, teachers, and Everest climbing Sherpas. However, even with the sustainable lives they lead they still do not have extra income to send their children to school. Many students walk for hours from their remote villages to attend school each day and return home each night. 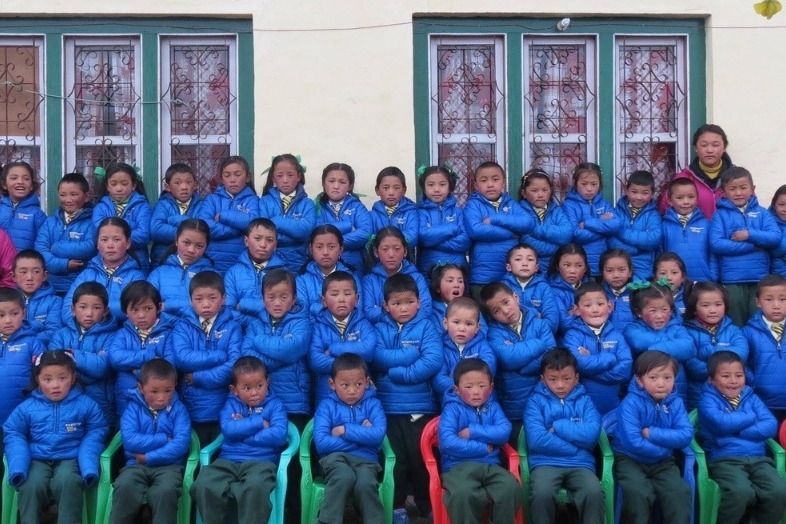 The Sherpa Education Fund provides housing for the students in the Khumbu as well as warm meals where they live in a family like environment and participate in daily activities with the other students at the school and boarding house. Most of the AAF students that attend school in Kathmandu come from the Khumbu region and live in boarding schools that are funded through donations from sponsors who believe that with a good education these students will be well equipped in life and education will contribute to the betterment of their lives. I am currently studying for a Master of Science in Norway with the objective of having a career within sustainable energy production. I was fortunate enough to receive a scholarship and go to Massachusetts Institute of Technology (MIT) where I have studied for the last year. This has been a fantastic experience, and I want to inspire others toward similar goals through my climbing. This October I visited Nepal to assist the work at the school in Namche Bazaar and prepare for my Everest climb. Alpine Ascents has more than 2 decades of experience in this area, and they do a fantastic job helping the local community. More info about the schools and students can be found here . My entire life I have dreamed of climbing Mount Everest. After High School I enlisted in the military to learn more about survival skills and mental toughness. The first time I felt the effect of high altitude was on Kilimanjaro, and I immediately wanted higher challenges. 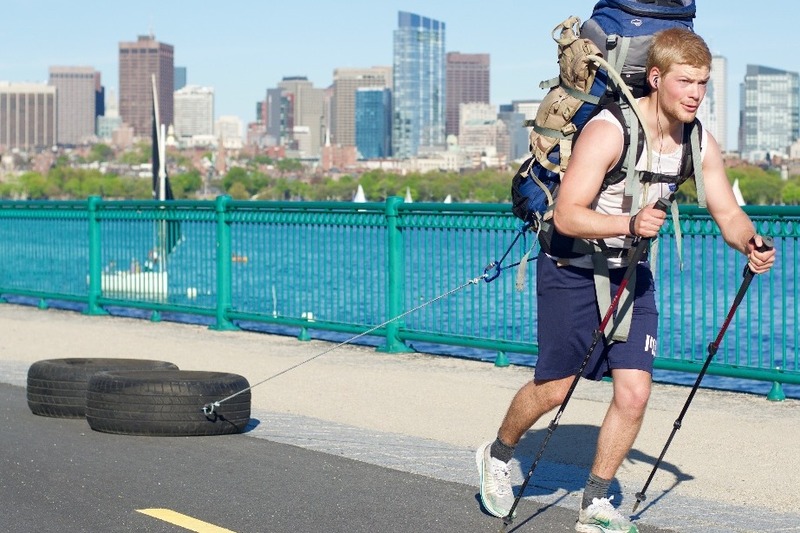 After summiting Aconcagua in 2016, I decided to start preparing for an attempt on Everest. 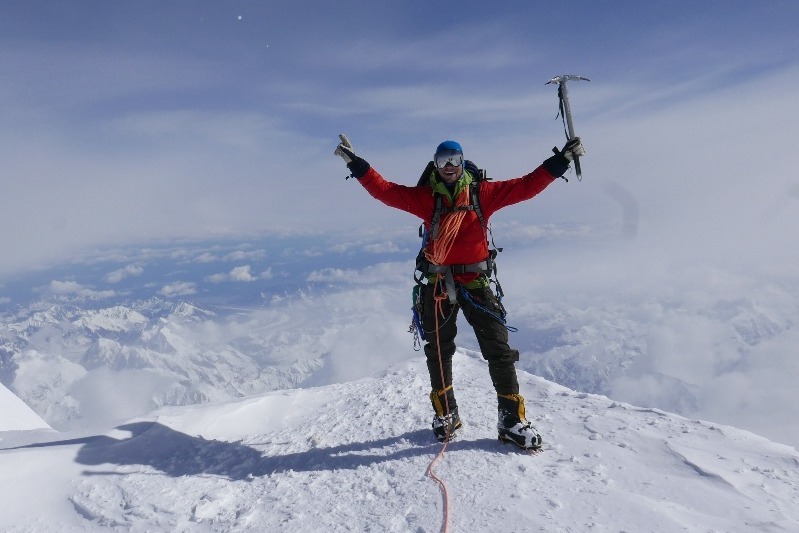 Other mountains I have summited worth mentioning is Elbrus, Mt Blanc, Mt Rainier and Denali. In my daily life I do triathlons as it is a great community and it gives me the physical robustness an Everest climb require. Climbing Everest for a good cause has been my goal ever since I summited Aconcagua nearly 2 years ago. The total budget for my expedition is $35,000 dollars, and as a student one of the biggest challenges has been financing the adventure. During my first years as a student in Norway I had three part-time jobs simultaneously to finance my climbs. I still have some savings from my time in the military, but not enough to cover the whole expedition. 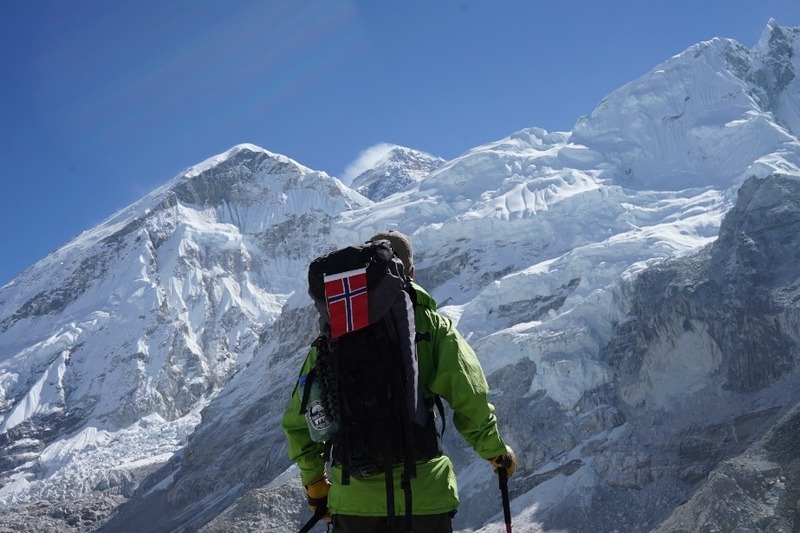 This is why 30% of your donation will contribute to my expedition costs, which also helps the Sherpa community through providing permits, oxygen, insurance, logistics, guide services and fixed ropes for the expedition. If for any reason my health or other factors should force me to abort the expedition, you will of course get 100% of your donation back, no questions asked. Growing up in Norway has taught me the astounding value of free education for everyone. Unfortunately, not everyone has the same opportunities. That is why I hope you join me in this effort to raise awareness and funds to help the Sherpa Education create more scholarships to educate the children of Nepal. Every donation, big or small is highly appreciated. Many small rocks build up a whole mountain, so together we can make this happen for the children of the Khumbu Valley! Please feel free to read more about me and my climbs on Instagram or Facebook. Also, please read more about the non-profit Alpine Ascents Foundation. Finally, thank you so much for showing interest in my project!